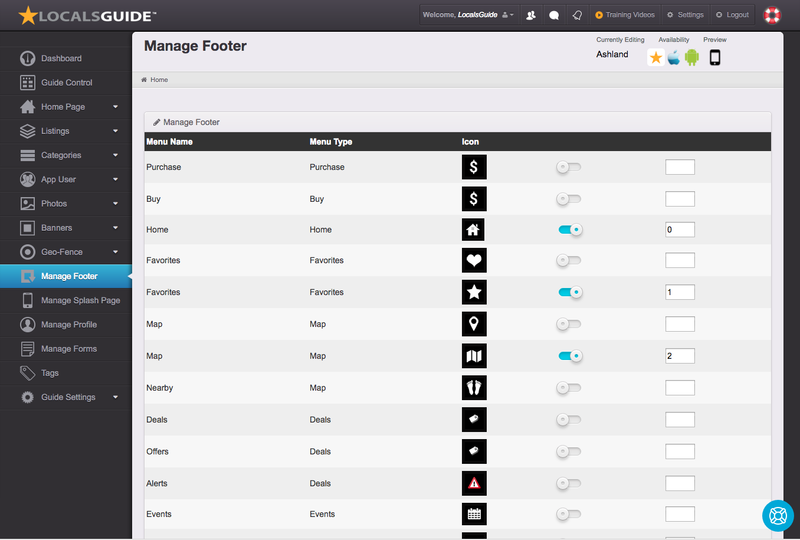 In the left menu of the Guide Control you will find Footer management. From this section you can manage and control the Footer layout and display in your Mobile Guides. You can turn off or turn on categories you wish to display in the footer. You can then control display order. By default the following categories are displayed in the footer. Favorites – A Category dedicated to the users favorite listings. If you want to display custom categories you need to do this from within the category creation.